One of the very first articles that was published here at Ghacks was an article about securing a computer with True Crypt. The True Crypt developers have made several interesting changes both to the functionality of the hard drive encryption software but also to the speed and performance of it since that time. Version 6.1 of True Crypt was released two days ago and it has - again - added interesting features to the encryption software. The major improvement of this release affects Windows Vista and Windows Server 2008 operating systems. It is now possible to encrypt non system partitions on those operating systems without losing the data on those partitions. That feature is unfortunately not available for previous operating systems such as Windows XP. To encrypt a non-system partition and retain the data of the partition one would have to follow the path Create Volume' > 'Encrypt a non-system partition' > 'Standard volume' > 'Select Device' > 'Encrypt partition in place' in True Crypt. Another interesting addition is the support of keyfiles on security tokens and smart cards that comply with the PKCS #11 standard. Text output of the True Crypt bootloader can now be suppressed or customized. A complete list of changes and updates is available in the True Crypt release notes on the True Crypt homepage. 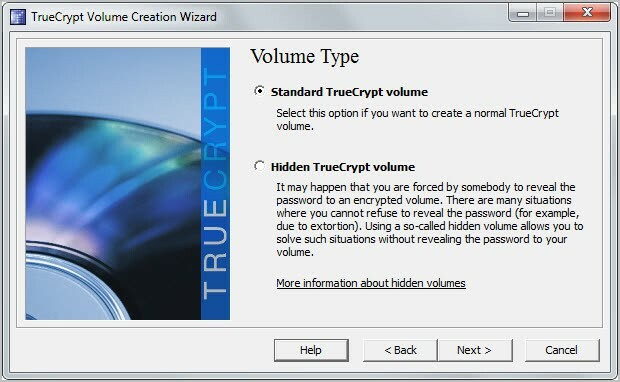 Update: Several new versions of True Crypt have been released in past years that have introduced new features. This includes full support for new operating systems such as Windows 7 or Mac OS X 10.x, hardware accelerated AES which improves the performance significantly, or support for new drive types that use sector size of 4096, 2048 or 1024 bytes. You can always download the latest version of True Crypt from the developer website. The program itself has no option to check for new updates, or to download and install them automatically on the host system.